Following an afternoon of mingling with food bloggers, eating too much food (including the "world's biggest box of pork crackling" courtesy of Mr Crackles), and unwrapping and stealing each others presents at the Sydney Food Bloggers Xmas Picnic 2013, I thought it would be a good excuse to check out a new restaurant in Woollahra, Pinbone. First of all, a big thanks to ChocolateSuze and Grab Your Fork for organising a successful and fun event (and the weather for not ruining the party but still making us all worried)! 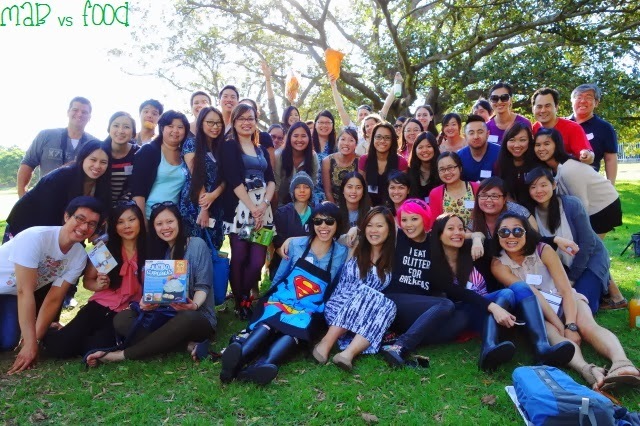 For a recap of what happened at the picnic, see ChocolateSuze's and Grab Your Fork's write up. 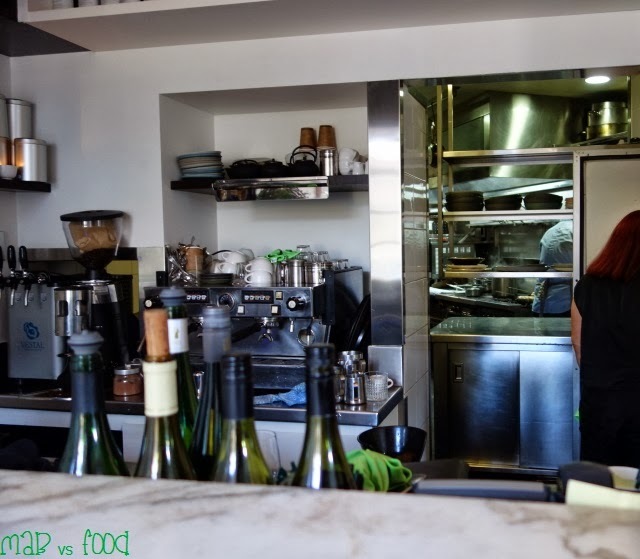 Pinbone is the brainchild of chefs Mike Eggert (ex-Duke, Billy Kwong), Jemma Whiteman (ex-Three Blue Ducks, Berta and Billy Kwong) and front of house manager Berri Eggert (Mike's sister). 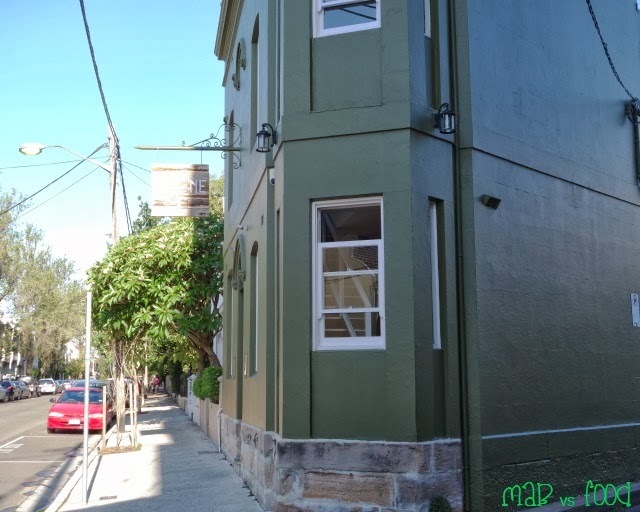 The Pinbone team had been doing a number of pop-ups at other restaurants before becoming a permanent fixture at the space formerly occupied by Buzo. 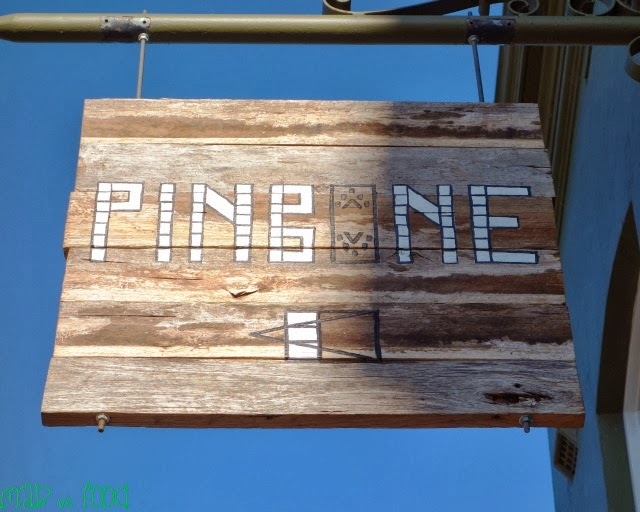 I had been eagerly awaiting the opening of Pinbone so I closely followed Mike Eggert's updates on FaceBook and Twitter. All I needed was an excuse to drop by and the Food Bloggers Picnic was just that since Pinbone was just a 5 minute walk away. 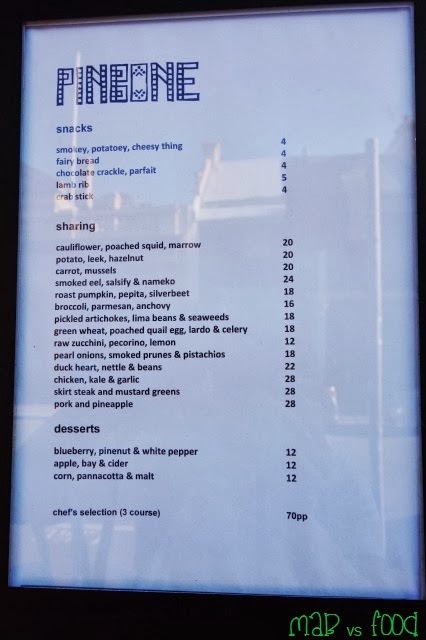 The menu at Pinbone consists of a number of snacks and plates that are designed to be shared (I have attached the menu below for your reference). The food here is uncomplicated, driven by seasonal produce and draws on flavour combinations from a number of different cuisines. The menu is set out like a shopping list, however you can ask Berri Eggert or any of the other friendly waitstaff to explain any dish. 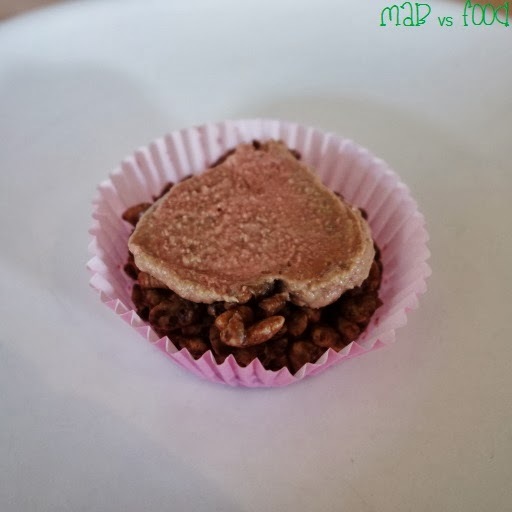 First up, I decided to order the chocolate crackle with a generous spread of chicken liver parfait on top. I have a weakness for chicken liver parfaits and this one was no different. Wonderfully rich, creamy, salty and just delicious. The pairing with chocolate crackle was brilliant. Is there anything that chocolate doesn't go well with? 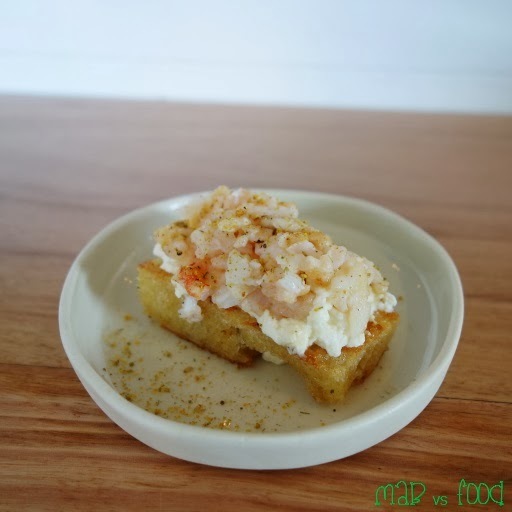 Next snack is a crab stick, which consisted of a crispy sourdough topped with ricotta, crab and a dusting of fennel pollen. The flavours in this snack was a complete contrast to the parfait as the the flavours of the crab and ricotta here were clean, quite delicate and go well together. The first sharing plate I tried was pork and pineapple. 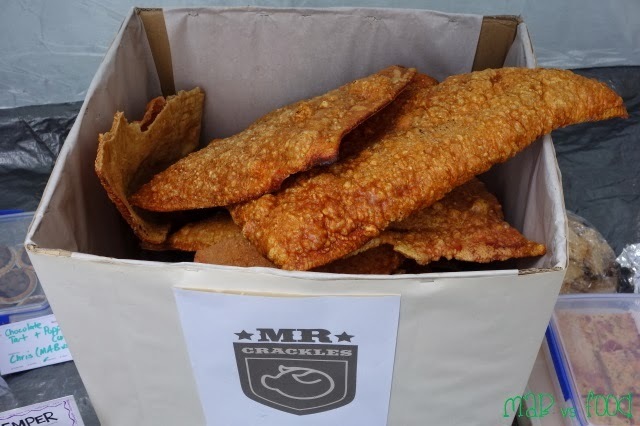 When I ordered this I actually forgot that I had just eaten a heap of pork crackling at the food bloggers picnic, how silly of me. This actually turned out to be the best dish I tried, so I was kind of happy that I had a double dose of pork. Berri explained to me that this dish is designed to be eaten with hands. The idea is to pick up a chunk of pork belly, dip it into the powdered mixture of nori, kombu and licorice root for a umami hit. Then have a piece of grilled pineapple, which cuts through the richness and fattiness of the pork belly. And then finish off with a bit of the herb salad to cleanse and refresh the palate for the next round of pork. The combinations of flavour and texture here are really quite amazing. 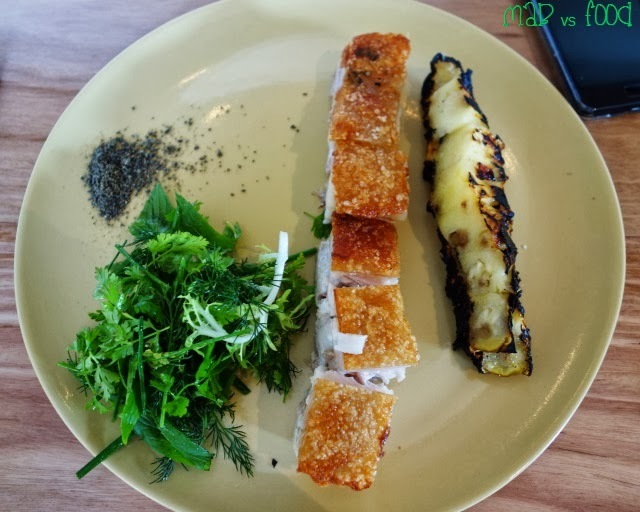 The pork belly consisted of precise layers of mouth-melting, tender meat, fat and crispy as pork crackling. All the other elements on the plate just work harmoniously with the pork belly; it was like a party in the mouth. The only problem with this dish is that the pork crackling does get stuck to your teeth. I think I was in a coma after that pork belly yet I wanted to try more food, so it was lucky that they offered to give me a half serve of any of the sharing plates. This was an enjoyable combination of pungent smoked eel shaved over the top of crispy pieces of pickled salsify, a root vegetable and some delicious and creamy nameko mushrooms. I was intrigued by this dessert when I was reading the menu. It seemed to have more savoury elements that dessert ones. I love corn and since I have never seen corn used like this in a dessert, I was keen to try. I enjoyed this dessert as it was quite different, interesting and not overly sweet. Everything in the dessert tasted of... corn (duh). It was like they extracted every last ounce of flavour from all parts of the corn. The corn flavour is quite prominent, which I enjoyed. At the base is a corn marshmallow. The texture is not really like a soft, fluffy marshmallow as there was a slight resistance as you cut through it. Then there is a corn pannacotta, which I thought was amazing! Just so wonderfully soft, smooth and creamy. 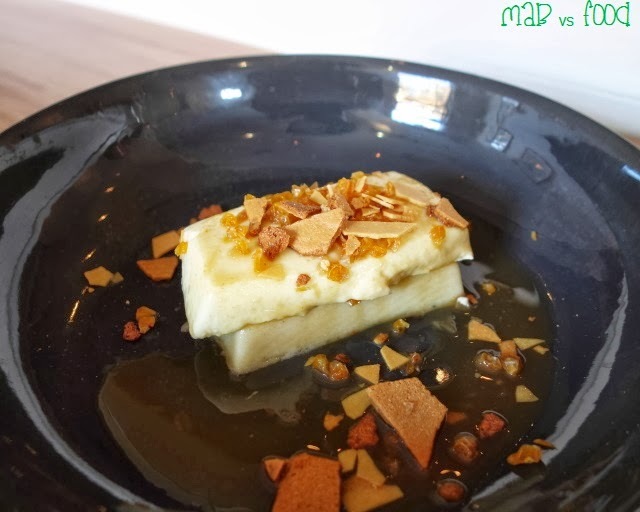 On top were crispy bits of malt and corn kernels for textural contrast to the pannacotta and marshmallow. The dessert was finished off with corn syrup made from corn cobs and husks. The corn syrup was delicious, something that I would pick up the plate and lick clean! So all in all, I really like what Pinbone are doing. The food is no-fuss, seasonally focused and just tastes good. I am a fan of the relaxed and casual setting. And the waitstaff working here are friendly, and attentive, so what's not to like about Pinbone. 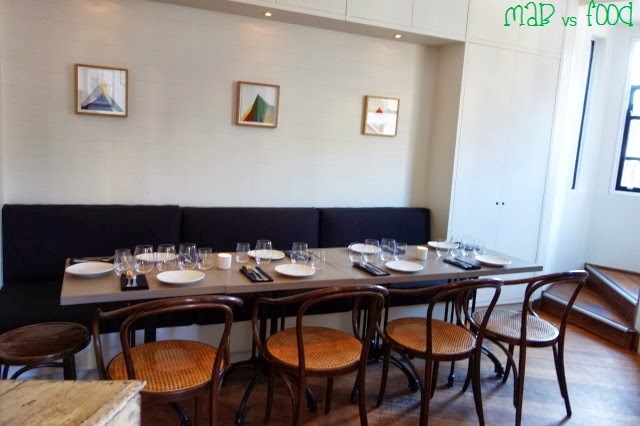 Pinbone also offers an all-day brunch menu on Sunday, so I hope to come back soon to try that. 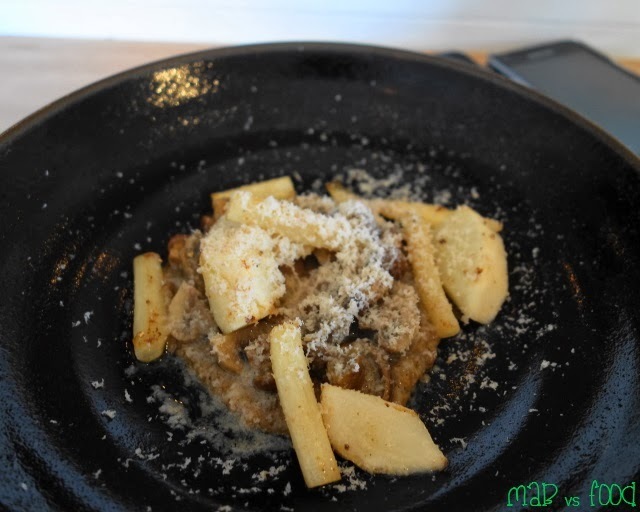 Highlight: Amazing pork belly served in a different way that was just mouth-watering! Lowlight: “World’s biggest box of pork crackling” followed by pork belly is the ultimate gut bomb.